CHRISTMAS IN JULY TAKE ONE – OUTSIDE: If you’re looking for somewhere to celebrate Christmas in July, Welcome to Thornbury is somewhere to start. The popular food truck stop will be going all midwinter on Monday, complete with mistletoe, tinsel and daggy Xmas tune. There’ll be fairy lights, candles, heaters and of course plenty of nosh. Guests are well and truly encouraged to don their worst Christmas jumper, what a sight that will be. CHRISTMAS IN JULY TAKE TWO – INSIDE: If you prefer to be a little warmer as you celebrate the solstice, Melba Restaurant at The Langham could be your go. They’ll be doing a traditional Christmas in July too, complete with roast turkey with fruit and nut stuffing, ginger and maple-glazed roast ham, candy cane trifle and plum pudding macarons. It’ll include Melba’s famous seafood buffet, entr?e, dessert and cheese for $85.00 per adult. Mel Brauer is The Prosecco Queen. 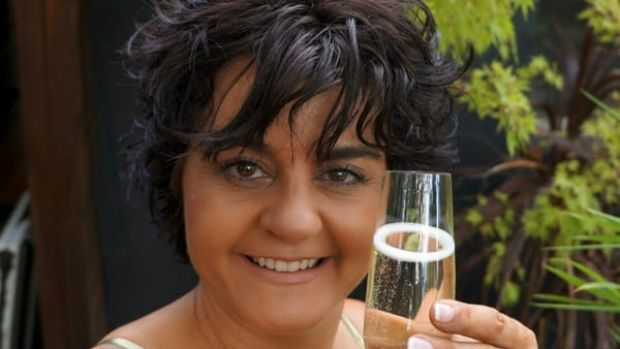 BRINGING THE BUBBLES: Speaking of bubbles, The Prosecco Queen Mel Brauer is one of the more bubbly personalities I’ve ever had the pleasure of meeting, so I have no doubt her next Prosecco Masterclass will be nothing if not entertaining! It’s happening on August 4 at South Press in South Yarra, Katherine Brown from Brown Brothers will make a special appearance, plus an Italian importer to talk all things internationa.